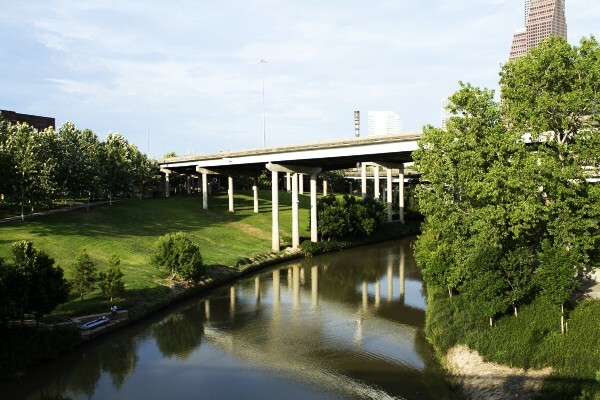 The Brays Bayou Greenway Trail is one of the better options in the southern part of the city, especially if you’re in the NRG Stadium (home of the Oilers and Super Bowl LI)/old Astrodome area. The path follows Brays Bayou, about 14 miles from the east end at Calhoun Rd. and MacGregor Way (adjacent to to MacGregor Park and just south of the Univ. 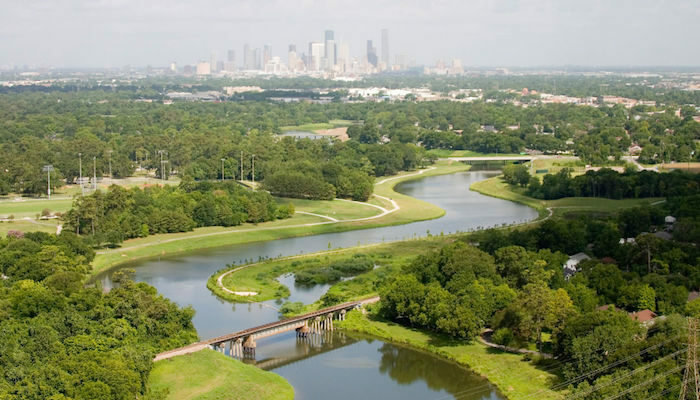 of Houston), west to Brays Bayou Park in Braeburn. The 3-mile section between MacGregor Park and Hermann Park has trails on both sides of the river, with bridges connecting them. The section closest to NRG Stadium is where Main St. crosses Braeswood Blvd. 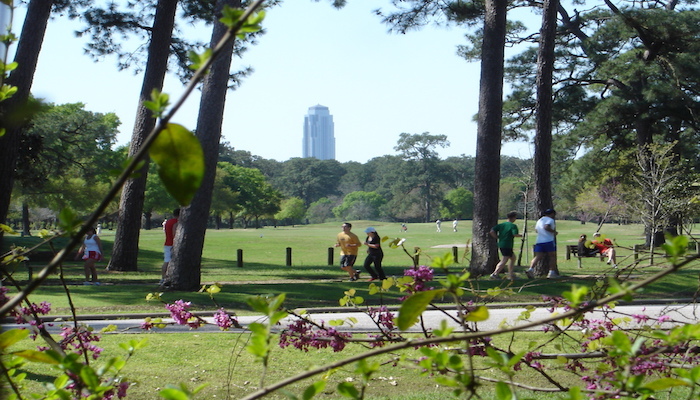 The trail passes through Hermann Park and the Museum District, then stays just south of the medical area. The trail runs on the north side between Hermann Park and Buffalo Speedway, then mostly on the south side, to Braeburn. The map below has good info on trail segment distances, restrooms, water, and other landmarks. There is ongoing work to add to the trail. Info here.